Indraprastha – the capital of the Pandava brothers – was built by Moy danav. The palace left Duryadhona absolutely awe-struck – unable to make out the difference between glass and water, he finally ended up falling in water. The scene prompted Draupadi’s contemptuous laugh. Duryodhana decided to take revenge for this humiliation – thus proceeds the story of our greatest epic, Mahabharata. 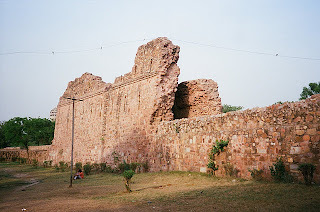 According to traditions, Indraprastha was located at the site of present Purana Qila (Indraprastha or Indrapat was at the centre of five pats, the other four – Sonepat, Panipat, Baghpat and Tilpat – are located around Delhi). Excavations at Purana Qila have revealed different layers of habitations stretching backwards up to the Maurya period, though not beyond that. Scattered findings of Painted Greyware have been interpreted by some scholars as characteristics of Mahabharata period (before 1000 BC). In the historic period, Rajput Tomar King Anangpal established the first capital city Lal Kot around present Mehrauli in 1020 AD. 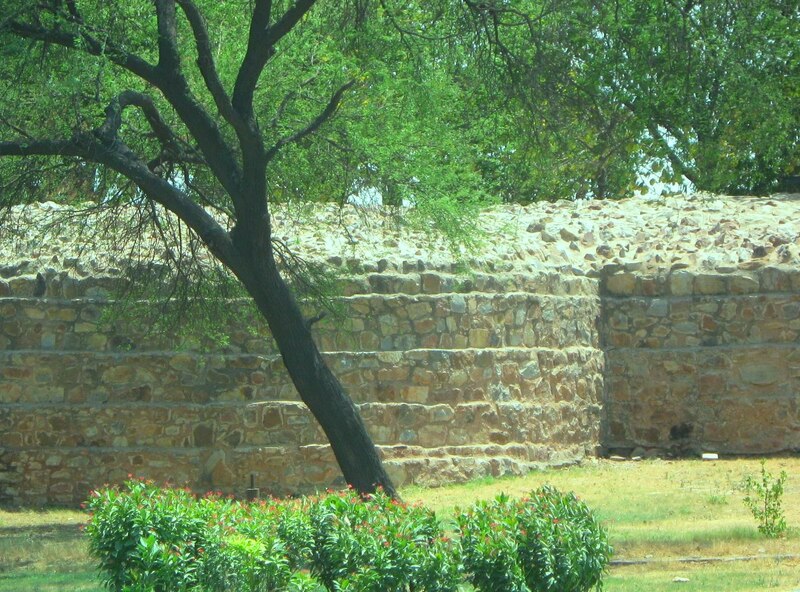 Signs of city life were however visible around present Surajkund area from 8th century onwards. 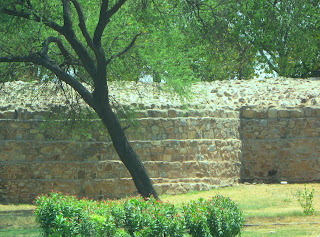 Tomars and following them the Chauhans expanded this city and surrounded it by a wall – remnants of this wall could still be seen near Saket. This came to be known as Qila Rai Pithora in memory of Chauhan King and hero of many a legend, Prithviraj Chauhan. After Pritviraj was defeated by Mohammed Ghori in 1192 AD, Ghori and then Qutubuddin Aibak ruled from the same Mehrauli area. 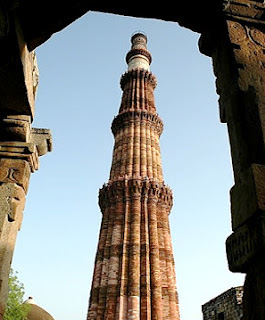 It was here that Aibak and then Iltutmish built some of the earliest Islamic monuments in India, including the Qutb Minar. Remnants of destroyed Hindu mandirs, which were used in this construction, could still be seen at the Qutab complex. Alauddin Khilji founded the next capital at Siri – some two miles north of Lal Kot (present Siri Fort area). It is rumoured that this was the scene of a great massacre of Mongol prisoners – since their heads (sir) were strewn here thus the name Siri! Within this city was located his famous palace – Hazar Situn or the Hall of Thousand Pillars. Alauddin not only defeated the Mongols but also the Rajputs and invaded South India. He also built the great tank at Hauz Khas, though his ambition of building a pillar bigger than the Qutab (in the same complex) remained unfulfilled. Facing the Mongol menace once more, Ghiyasuddin Tughlak built a fort capital with huge sloping wall and bastions at Tuglakabad. Built on a rocky outcrop and suffering from immense heat and lack of water, the city had to be abandoned in just 15 years. Legend has it that after a difference of opinion between Saint Nizamuddin Auliya and Ghiyasuddin, Saint told the King, who was returning from Bengal that jackals would roam in his new capital and “Dilli” will always remain “door ast” for him. Ghiyasuddin was soon murdered by Mohammad Bin Tughlak just before entering the city. Bin Tughlak’s story of shifting capital is well known but when he finally settled down in Delhi, he encircled the entire area between Qutab and Siri in a new city called Jahanpanah (Refuge of the World). Iban Batuta saw this sprawling city with its huge mosque (Begumpuri mosque) and royal palace (known as Bijai Mandal today) and commented that this was the biggest city in the Islamic world. Firoz Tughlak, Mohammad’s successor, was happy to give up military ambitions but was a great builder and the first conservator in the history of Delhi. 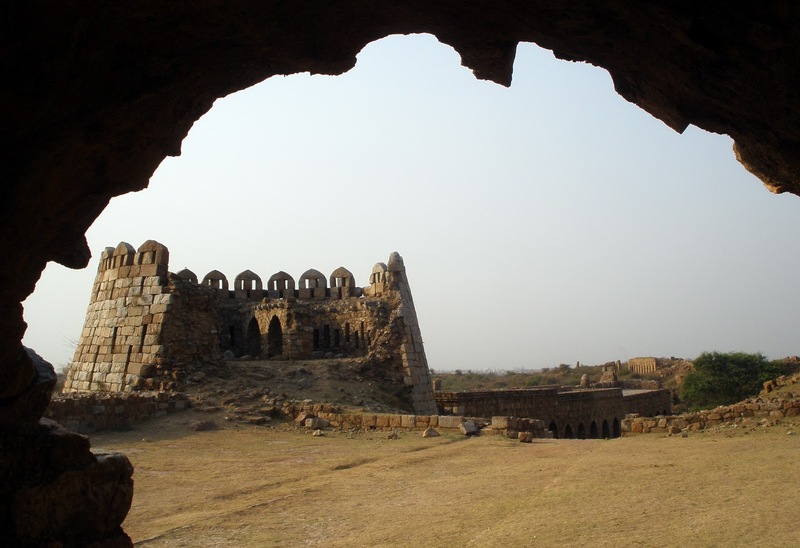 He founded a new city – a fortress palace in fact, called Firozabad – today’s Firoz Shah Kotla. 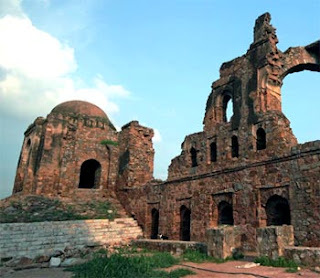 He also built a number of great mosques and cut the Western Yamuna canal, brought to Delhi two Ashokan pillars and repaired famous mosques and palaces of earlier periods. Today his capital is better known for the cricket stadium next door. 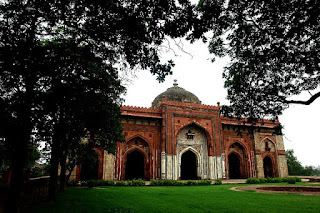 Next came the Saiyyids and the Lodhis – some of the Saiyyid Sultans are buried at the Lodhi Garden – and it was during the time of Sikandar Lodhi that the capital was shifted to Agra. After the victory at Panipat in 1526 AD, Babar headed straight to Agra, the Lodhi capital but left Humayun behind. 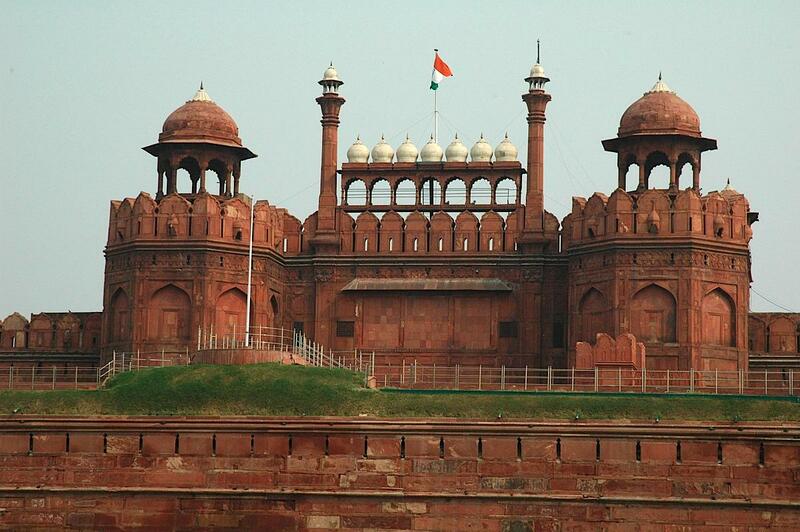 It was Humayun, who founded the next capital city called Deenpanah at the site of today’s Purana Qila. Sher Shah, who also ruled from here after expelling Humayun, expanded it further. Humayun managed to come back after Sher Shah’s death but soon fell to death from the stairs of library building here. Humayun’s tomb, built nearby is the first major Mughal monument. 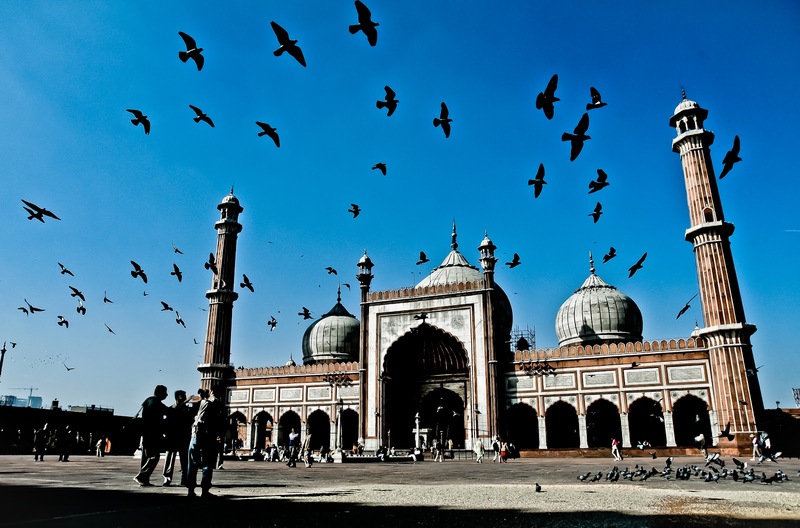 Akbar after spending the first few years in Delhi shifted the capital back to Agra. No other city in Indian history evoked so much passion as Shahjahanabad. It was in 1638, Shah Jahan decided to build a new capital in Delhi after merchants of Agra did not agree to his proposal of widening main roads there. The great walled city with Qila-i-Mubarak (Lal Qila) at the centre of it and Chandni Chowk as the central axis was built in 10 years time. From here the Mughals ruled the entire subcontinent, it was here seating on the Peacock throne, Shah Jahan felt, if there was any heaven on earth then it had to be here! Here assembled caravans from all over the world and it was the seat of great learning and culture, including North Indian classical music; Persian and then Urdu poetry; Mughal food, dress and tehjib. With a series of weak emperors and great nobles fighting among themselves, political Delhi started declining in the 1720s. In 1726, fed up with darbar intrigues, Nizam-ul-Mulk, perhaps the most capable noble of his generation, finally left for Deccan – this was a symbolic end of Mughal political system, which sustained the great empire for two centuries. Nadir Shah’s plunder in 1739 robbed Delhi of its treasures and prestige. Since then successive armies of the Afghans, Marathas, Jats and Rohillas ransacked Delhi routinely. Marathas provided protection for some time and then in 1803, as Lord Lake marched on to the city, the British took Delhi under their protection. 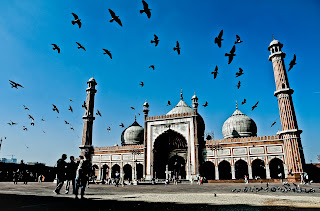 From 1803 to 1857, Delhi enjoyed a rare peace, sparking sort of a cultural renaissance, best represented by Mirza Ghalib. Not only that peace was shattered in 1857 but the repression that came after the hard-fought English victory in 1858 wiped out much of the old city and its tradition.